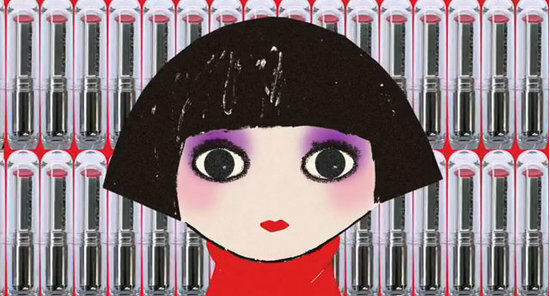 Karl is collaborating with Shu Uemura for a 17 pieces cosmetic collection, due to launch in november '12. As a designer/photographer/producer/marketing director/genius, he came out with this adorable character, named Mon Shu girl, as the face of the collection. Watch this short film...she's so cute!!! OUTFIT DU JOUR - Are You Serious?